The snow is melting on the Maine shoreline. No longer do ice blocks litter the beaches like driftwood. Early Saturday morning, I walked around taking photos of Harpswell, a small, stereotypical Maine community centered around lobster fishing and tourism. 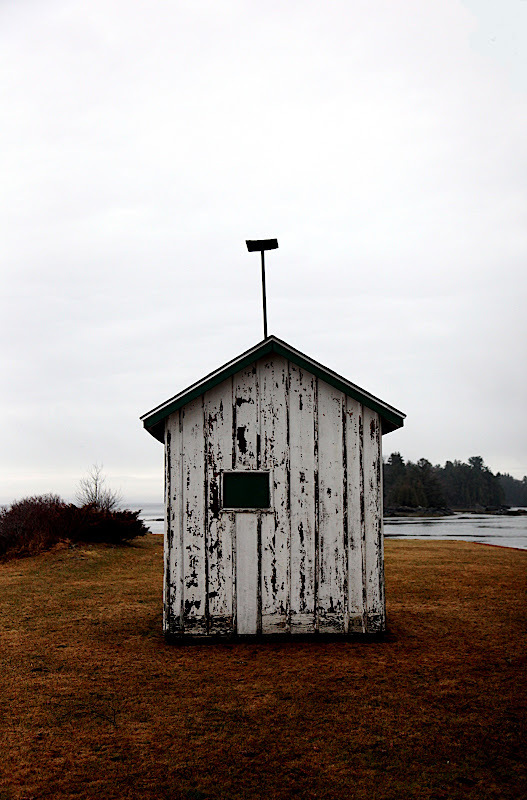 This shed has seen numerous Nor'easters, cold -22° winter storms, and hot Maine summers. The paint shows it. Fog lying on Pole Island. If Rogues Gallery were a Maine fisherman, this is where he would live. The modern Maine College preppy look; Vineyard Vines Tote, Jcrew sweatshirt and Madewell Jeans. Maine Coast (in the Winter) (Picasa).